The third, and final, sophisticated weather satellite, Metop-C was successfully launched thanks to the many talented individuals and companies that worked together towards a common goal including Leonardo and Thales Alenia Space. 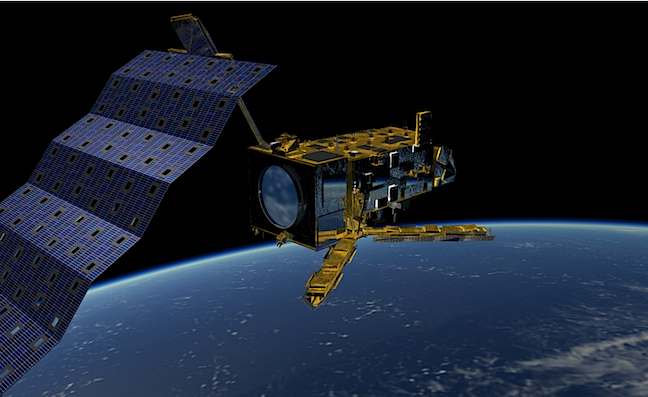 The third polar-orbit meteorological satellite, Metop-C, joins the other satellites in this family, Metop-A, launched in October 2006 and Metop-B launched in September 2012. Contained in this most recent satellite, Metop-Meteorological satellite carries GOME-2 and IASI-3, atmospheric imaging and sounding instruments by Leonardo and Thales Alenia Space. Metop is a family of Sun-synchronous polar-orbit satellites built by Airbus Defence and Space as prime contractor, in conjunction with the European Space Agency (ESA), for Eumetsat, the European Organisation for the Exploitation of Meteorological Satellites. Metop-C brings in orbit a suite of sophisticated instrumentation, including GOME-2, provided by Leonardo, and IASI, provided by Thales Alenia Space, Joint Venture between Thales (67 percent) and Leonardo (33 percent), two state-of-the-art European instruments playing a fundamental role in protecting our Planet. Leonardo designed, developed and tested in its facility at Campi Bisenzio (near Florence) the Global Ozone Monitoring Experiment 2 (GOME-2) instrument on board all Metop satellites, which data are used by scientists to measure ozone in the atmosphere, crucial for protecting humans and other species from the harmful effects of ultraviolet radiation from the sun. Since 2006, when the Metop-A satellite was launched, data from GOME-2 are also used for the long-term monitoring of the so-called ozone hole over Antarctica. The instrument onboard Metop-C will now operate in parallel with its “brother” on Metop-B, so assuring that continuity in the long time series of measurements will be maintained. In more details, GOME-2 is an imaging spectrometer. Since different gases in the atmosphere absorb light at different wavelengths, the instrument receives the reflected light from the Earth's atmosphere splitting it into different colors (wavelengths) to reveal which gases are present in the observed sample. GOME-2 will map concentrations of atmospheric ozone as well as other gases such as nitrogen dioxide, sulphur dioxide and other molecules present in traces in the atmosphere. Developed by Thales Alenia Space for French space agency CNES, the IASI is a very-high- spectral-resolution instrument that has revolutionized operational meteorology through its ability to precisely measure temperature and humidity profiles in atmospheric columns, using advanced interferometry techniques. The measurements made by the IASI instrument, proven on Metop-A and Metop-B, also help improve climate monitoring (temperatures and greenhouse gases), while improving our understanding of air quality and atmospheric chemistry through 3D studies of constituent components.